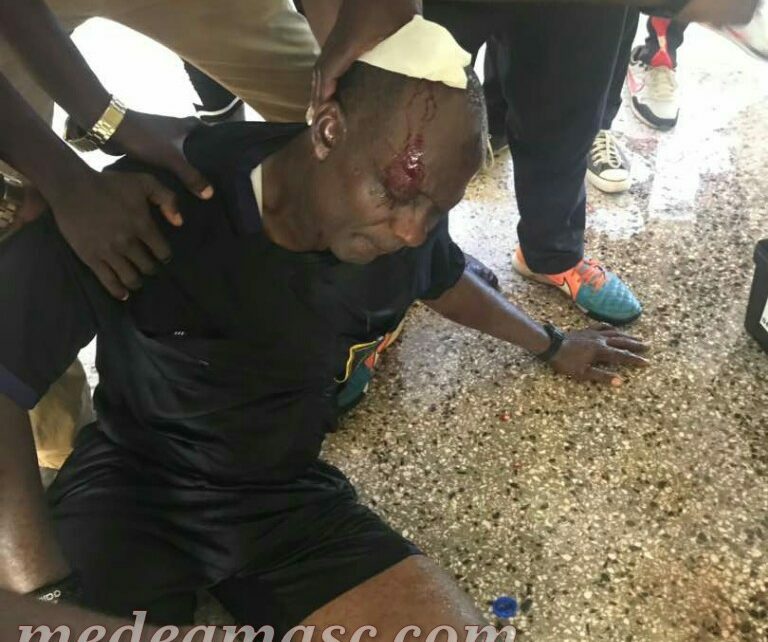 We have filed an official protest against Elmina Sharks demanding maximum points and three goals after irate home fans physically attacked referee Nuhu Liman Yakubu during a Premier League game on Wednesday. The club has attached relevant evidence to back our claim, as we seek stiffer punishment for the home side over the barbaric act. Shocking images have captured how some irate home fans pounced on the Wa-based referee after recess and horrifically attacked him in the dressing room. The thugs, from the home side, ran up to him and thumped him with a right hook before hitting him with stones twice more as he lay helpless on the ground. The 2016 CAF Confederation Cup campaigners have lodged an official protest against their opponents after making their statement of case to the Ghana Football Association. The match officials aborted the game for fear of their safety – with the matter refereed to the Disciplinary Committee of the Ghana Football Association. ‘It is our submission that Elmina Sharks failed woefully to control their supporters, again failed to provide adequate security before, during and after the game which resulted to the abrupt end of the match,’portions of the letter read. ‘These acts of Elmina Sharks FC sins against both Articles 34 (1b) and 31 of the GFA General Regulations and Disciplinary Code respectively and must suffer for the consequences. ‘Reading Articles 34(1b) and 35 of the General Regulations together, it is humbly submitted that the supporters of Elmina Sharks initiated acts responsible for the abrupt end of the match and the club must forfeit the said match. 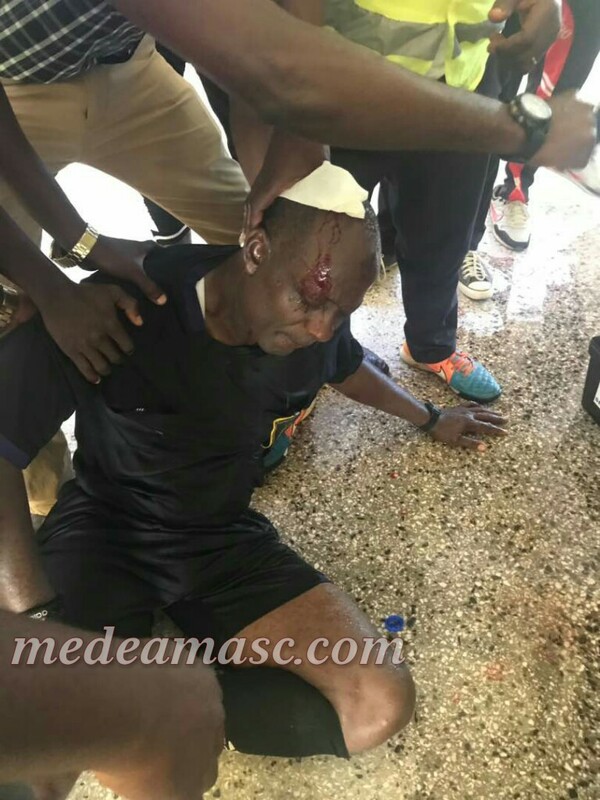 The Nduom sports stadium is gradually becoming a dangerous ground for visiting teams after the club was exposed after lying about the real cause of the incident. They are more likely to forfeit the match with the incontrovertible evidence from the ambitious Ghanaian side. It’s been widely believed that the Nduom stadium will be banned temporary after the inhumane act meted out to the math official. Medeama are third on the Ghana Premier League table after a flying start to the season.